A Maryland man opened fire on Prince George's County police officers last year, but his lawyer argued on Tuesday that the suspect is not responsible for an officer's death. "I don't believe my client is responsible for the death of Jacai Colson," attorney Antoini Jones said Tuesday. He represents Michael Ford, who police say fired at officers outside the District III station in Palmer Park, Maryland, on March 13, 2015. His two brothers videotaped the attack. During the gunfight, Officer 1st Class Jacai Colson, 28, was shot and killed when a fellow officer fired at him, mistaking him for the suspect, Police Chief Hank Stawinski previously said. 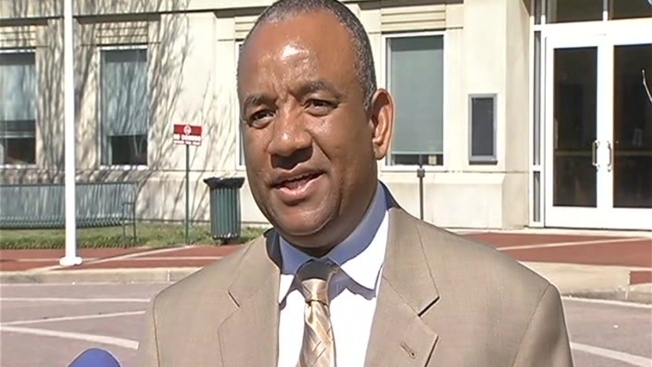 State's Attorney Angela Alsobrooks rejected Jones' defense of Ford. "We couldn't disagree more with that," she said. "But for his presence there that day and but for the shooting that he initiated at that police station, Jacai Colson would be alive today." The police chief previously said Ford had a history of mental illness. But Alsobrooks said Ford was found to have the mental capacity to stand trial. "The court determined that Mr. Ford does understand the proceedings and is able to assist his attorneys in his own defense," she said. 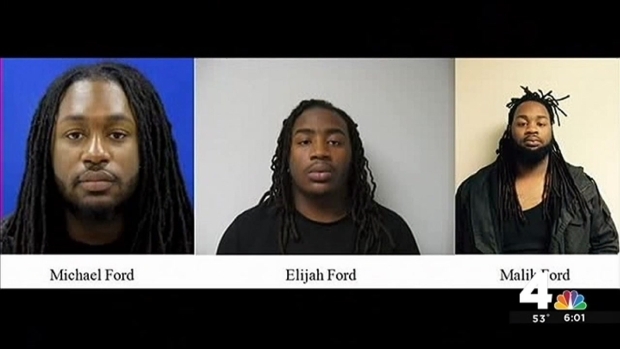 Ford was accompanied to the police station on the day of the shooting by his two younger brothers, Malik Ford and Elijah Ford, who then were 21 and 18. Police said Ford's brothers recorded his "last will and testament" using a cellphone before the eldest brother began shooting. Ford, then 22, intended to die in the attack and for his brothers to send video of the shootout to the entertainment website WorldStarHipHop.com, officials said last year. Prince George's County police provided an update late Monday afternoon on the fatal shooting Sunday outside police headquarters. News4's Tracee Wilkins reports. "They were hoping that there would be some sort of notoriety that would come out of this," Alsobrooks said last year. Ford's attorney argued his client was not mentally competent at the time of the crime. "I believe the facts will show he was not criminally responsible on that particular day," Jones said. "As you may be well aware, he was not medicated. After that day, the jail medicated him because they knew he had some problems." Ford always had struggled with mental health issues, his lawyer said. Ford's trial is scheduled to begin May 8. Prosecutors say they have the evidence to prove his guilt.